Weight gain and obesity can happen to you for lots of reasons. However, research has pinpointed one important reason for getting obese and that is meal times. Specifically, several studies show that eating late in the day can directly lead to getting fat. Adult obesity rates are increasing in the United States at an alarming rate. This negatively affects health, healthcare costs, productivity, and the quality of life. For many years, diets of all kinds have been the focus for weight control. However, as all of us know, staying on any diet long-term is very difficult. Based on results from recent studies, researchers are now recommending that changing the times we eat our meals may be the better option. Indeed, it may even be easier to stick to such a plan. Weight Gain: Can Meal Times Really Make A Difference? A recent study by researchers at the University of Colorado, evaluated the interaction between meal times and sleep-wake cycles. Previous research showed that sleep deprivation by itself can lead to obesity. It’s therefore important to parse which factor is most important: the time we eat our meal or our sleep-wake cycle. Thirty-one adults with average age of 36 were part of this study. All participants were overweight or obese. Sleep-wake cycles, activity levels, and diet were monitored and measured. Each participant wore an Actiwatch that monitored their sleep-wake cycles. They also wore an activPAL electronic device on their thigh. This measured how much time they spent both doing physical activity and being sedentary. In addition, participants kept track of what they ate using a phone app called MealLogger. Using the app, they photographed each meal and snack they consumed and the time of day they ate it. A glucose monitored and verified dietary intake. On average, volunteers ate their food during an 11-hour window and had 7 hours of sleep each night. The results showed those eating later in the day had a higher body mass index (BMI) and greater levels of body fat. This late-eating group still got their 7 hours of sleep which proves that sleep cycles are not the primary cause for obesity. 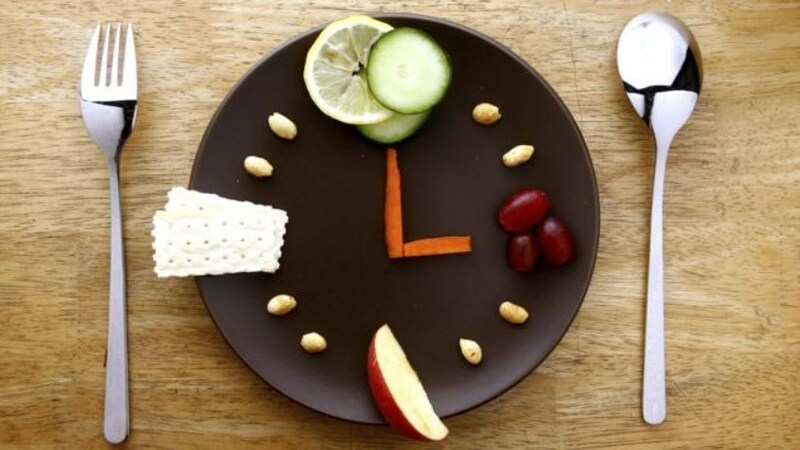 It appears that eating earlier in the day can lower obesity risk. This result supports earlier studies showing that timing of meals may be an effective method for controlling weight gain. Running this type of study is made possible due to modern technology such as wearable activity monitors and a host of specialized apps. Monitoring sleep-wake cycles and food intake is now fully measurable over a 24 hour period. ← Silver Tsunami On The Way, Will Healthcare Facilities Be Ready?